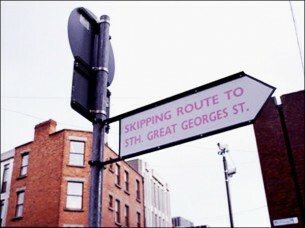 Shooting and displaying two videos in tandem was initiated by an invitation from curator, Mark Garry,to exhibit work in two ‘booths’ at the gallery on 5th at the Guinness Storehouse, Dublin. Each booth could be walked into seperately but could be viewed from a distance simultaneously. 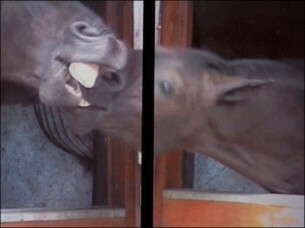 The action is slowed down to induce a false state of rural serenity that is then slowly interrupted as the horses invade each others space, teeth bared.